In 2015, Florida passed updated service dog definitions and requirements that made it more difficult for individuals to commit service dog fraud. This legislation allows businesses to ask specific questions to determine the validity of a dog’s service status. The law’s passage also protects those with real disabilities from being persecuted or harassed about their services animals without cause. What Qualifies as a Service Dog in Florida? When determining what a service dog is, it’s important to understand that a service animal is not a pet. Florida law only has two animals qualified as service animals in public places, and those are dogs and miniature horses. The state doesn’t recognize an animal’s ability to deter crime, provide emotional support, or companionship as work; thus, animals who give these types of benefit are not considered service animals. Florida State Statute 413.08 allows businesses to ask a service dog’s owner what trained services it performs and if it is a service dog. Demanding documentation or personal information regarding the owner’s disability is illegal under the law, so many businesses will watch for certain behaviors from a dog before asking. Under state law, service dog fraud is a second-degree misdemeanor that may incur up to $500 in fines and up to 60 days in jail. A convicted individual must perform 30 hours of community service for an organization that serves the disabled. This level of punishment can have a significant effect on someone’s life, career, and public reputation. At the same time, their criminal actions place additional pressure on those who are disabled and need to use their service animals in public. Those accused of trying to use their pet as a service dog, whether in writing or conduct, have a committed a misdemeanor of the second-degree. Florida is very clear that service dog fraud is unacceptable and law enforcement aggressively pursues these types of cases. If charged with this crime, seek an experienced criminal defense attorney immediately to build a strong defense and minimize the possible consequences of your case. 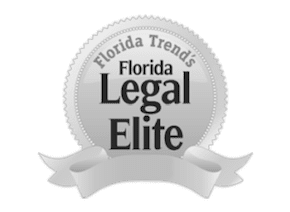 When choosing Orlando attorney for your case, consider the over 100 years of combined experience The Umansky Law Firm has to offer. We understand how state and county prosecution teams work because our attorneys are former prosecutors. This works to your advantage in the courtroom when we defend your case and work for the best possible outcome for your situation. Contact us today at (407) 228-3838 to get a free case evaluation and work towards the second chance that you deserve.